Astro Lighting Belgravia 600 single light LED bathroom fitting features a simple yet elegant linear bar wall fitting with ridged edges for a stylish touch. The bronze finish adds plenty of modern chic while the translucent light diffuser emits a warm glow. 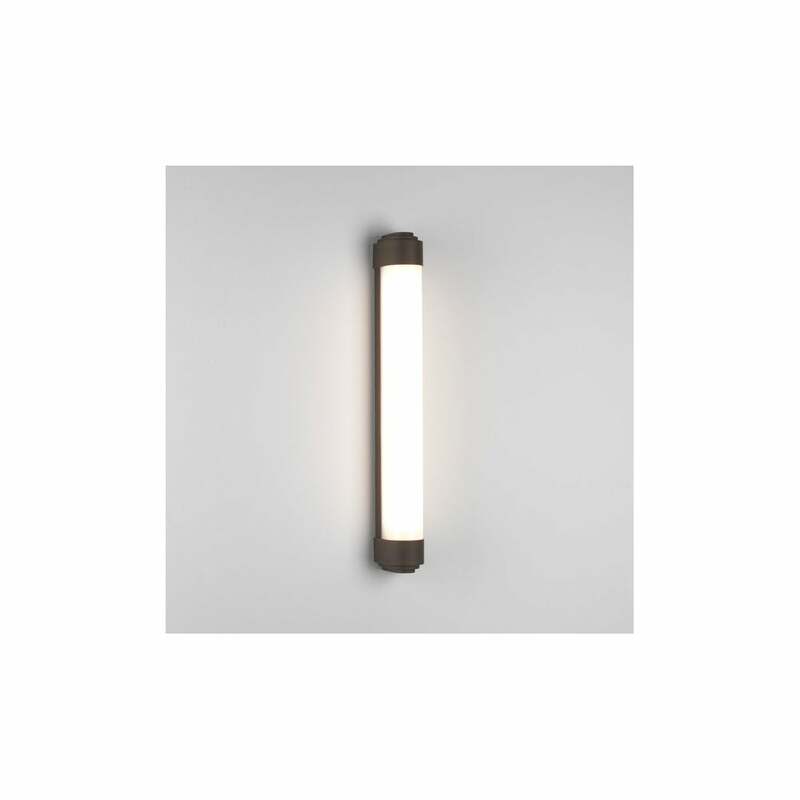 The product code for this Astro Lighting wall fitting is 8046. Boasting much understated style and a minimalist look, this fitting will compliment both classic and contemporary bathrooms with ease and has an integrated LED for optimum cost efficiency. IP44 rated so ideal for bathroom zones 2 and 3, is double insulated and can be mounted horizontally or vertically. Also available in polished chrome finish and this current range is also available as 50cm available in polished chrome and 60cm length fittings which is available in both polished chrome and bronze finish to order from our website, where you can find plenty more modern bathroom fittings to suit your tastes.